These were all so much fun to make! I love pulling them out now and then to look at and think what else could be done. They're a great chance to test out the needles and creativity. What I've made is only a start for what can be done. I go through them all in my second book of embroidery. I've made the introduction to the book available. Give them a try and see what you can come up with!! I'm still catching up on showing some previous projects on this blog. Today I have one of the embroidered purses I made a while ago. I've used a variety of materials in making this purse, beads, cheese cloth, yarns of different types, mostly just playing around. The bird was made by covering a thick interfacing with fabric. These little purses are like interactive works of art, which is an idea I really like. Hopefully there will be more purses in the future because I really like them! Here is another one of the embroidery patterns I created with people new to stumpwork in mind. These little insects are probably the most fun to stitch! For this project, I took the help of Trish Burr's book, Color Confidence in embroidery, which is a really great resource. I'll say more about it later because book reviews are something I've been meaning to do on this blog for a long time. (It wouldn't be a surprise to hear that I have piles of embroidery books and magazines, I hope!!) For this project, I really wanted to try some colors that I don't usually work with and this book helped a lot with that! I have already used it quite a bit and I am sure it will see much more use in the near future! In the works this week, a new crewel project. I have to order new colors, so I think it will end up sidelined while I wait for them to get here, but here is a little peak at it. I've worked on this til my finger hurt from pulling the needle, but I'm really happy with this so far. Have a great, stitchy day, everyone! 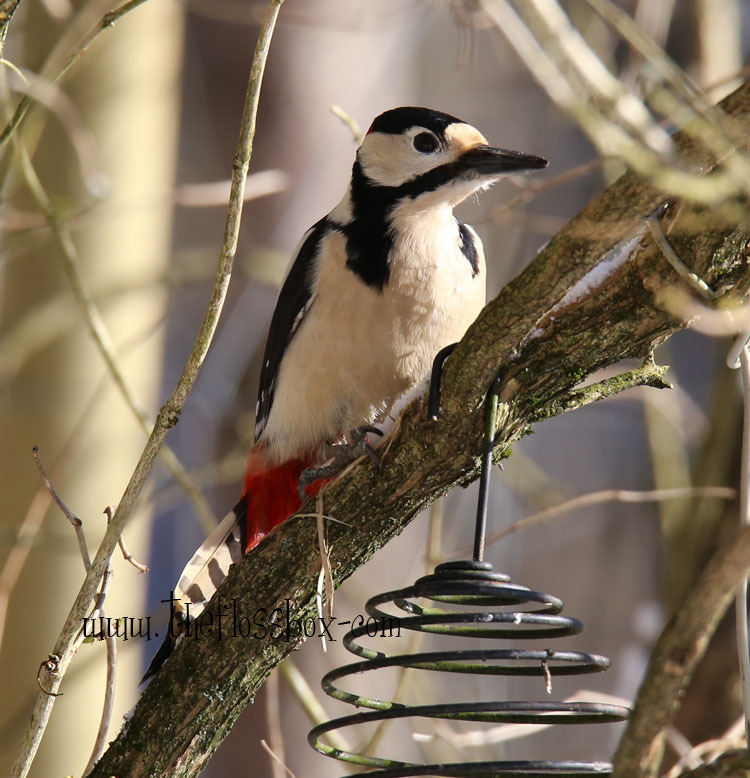 It was a beautiful winter day on Sunday, so I've collected some photos of the little birds that come visit me. I love these little birds. They get food here all year round. The bullfinch is always a delight to see out there. One of the bird clubs in told me about giving them margarine. It's popular all year long! The woodpeckers have started showing up and drilling on the trees to announce their presence. It's really been a few years since I became a birdwatcher, and I truly regret that it took me so many years to start seeing them. They've turned out to be a source of endless inspiration for my projects. I've just finished a fun crewel project I adapted from an earlier design. I love the bright colors on the little bird, and the way the wing turned out. I have another couple of crewel projects I want to do before I turn to do some stumpwork projects. 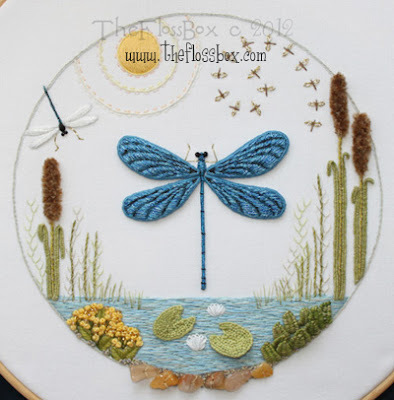 I've promised to make the dragonfly project into a pattern, so that is at the top of the list. There will be other projects like this one too coming in the future. Back soon! I'm forming plans for a new stitch school for beginners. I'm celebrating a new finish! I have a pile of new designs in the works, all waiting to be stitched up, so it's to get to work!